We are delighted to welcome the Reverend Sue Watterson back to the Diocese. On Sunday 2nd June, Sue was installed as Dean’s Vicar at St Fin Barre’s Cathedral. Having served a number of years ago as Rector of Youghal, Sue then went to work for the Church’s Ministry of Healing and, latterly, has been Priest in Charge in Killarney, County Kerry. 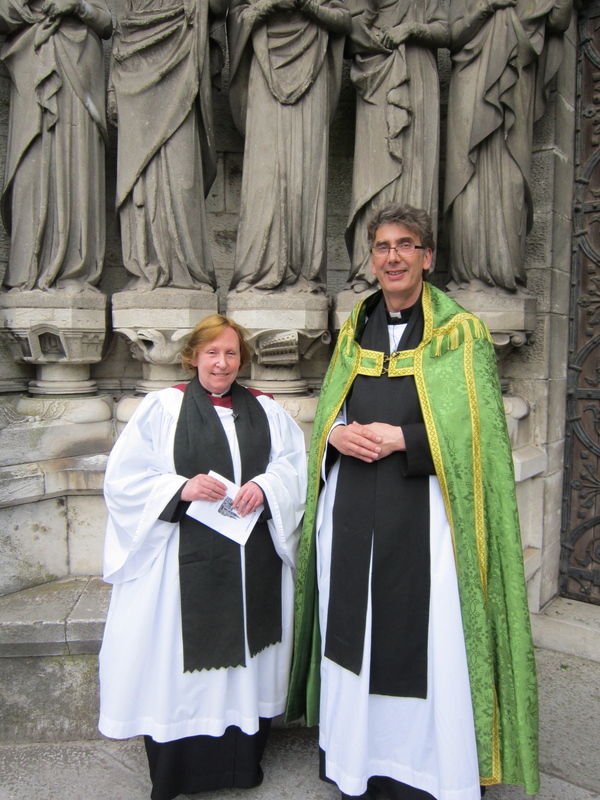 The Reverend Sue Watterson following her installation as Dean’s Vicar at St Fin Barre’s Cathedral, Cork, with the Dean of Cork, the Very Reverend Nigel Dunne. This entry was posted in Cathedral, Clergy, Installations. Bookmark the permalink.